My newly activated DStv Explora does not have any DStv Catch Up and BoxOffice titles, why is this? 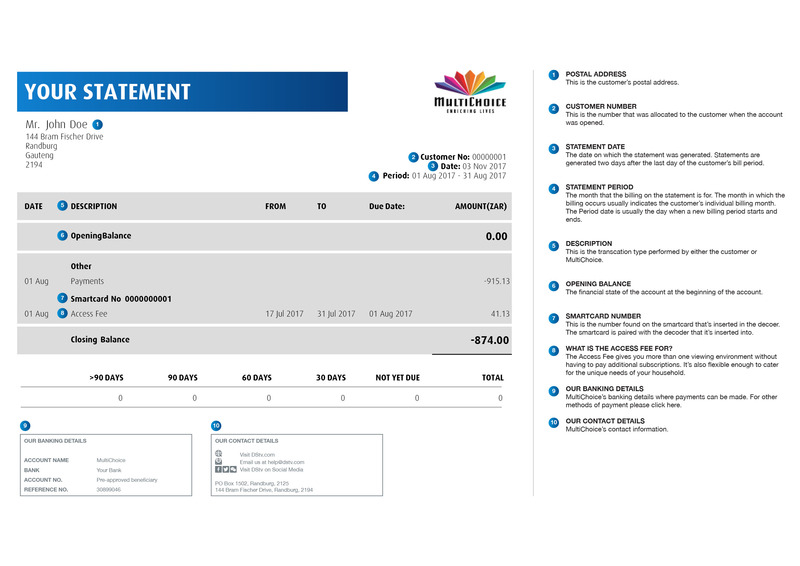 The performance of the DStv Explora is directly related to the quality of the installation (including use of approved equipment and correct alignment of the satellite dish). The recommended satellite installation for the DStv Explora is an 80cm satellite dish together with a DStv Smart LNB. If the Explora is installed with any other type of LNB, the installation may require changes to receive future services. If making changes to an existing XtraView installation, please DO NOT disconnect the cable that links the two existing decoders until you have phoned MultiChoice and requested that the XtraView link between those two existing decoders is broken. MultiChoice recommends the use of a DStv Accredited Installer for all DStv Explora installations. Use the supplied HDMI cable and connect it to the HDMI port (marked in pink) on the back of the decoder, then connect the other end to the HDMI port on the TV. Use the supplied HDMI cable and connect it to the HDMI port (marked in pink, number two) on the back of the decoder, then connect the other end to the HDMI port on the TV. Can I just 'plug and play' the DStv Explora into my existing set up where I already have a PVR? Please note that we recommend upgrading your installation to an 80cm dish together with a DStv Smart LNB to ensure optimal performance of the decoder and all features. It is important to note that the standard definition channels are not very sensitive to the skew of the LNB from your dish. The HD channels, as well as BoxOffice and DStv Catch Up downloads are much more sensitive to the skew of the LNB from your dish – should this be slightly out, you will experience problems with these features. Should this happen when you 'plug and play' your new DStv Explora into your existing set up, we suggest that you get an accredited installer out to check the skew of your LNB. Why is the signal strength and quality on my DStv Explora lower than my previous decoder? The signal quality and signal strength on your DStv Explora will read about 15–20% lower than on other decoders. This is no cause for concern. To ensure the best experience when using your DStv Explora, the signal quality and signal strength levels should be greater than 50% across all three tuners. If lower than 50% you’ll experience quality issues that could spoil your viewing. These range from increased downtime during bad weather, poor quality picture on some channels, lack of signal entirely for other channels, unreliable recordings, and unreliable downloads of DStv Catch Up and BoxOffice content. In this case, we recommend that you get a DStv Accredited Installer to check your installation and make the necessary adjustments to improve your signal quality. If using the DStv Smart LNB, connect the decoder directly to the UniCable™ output of the LNB. If using a Twin or Quad LNB, a multiswitch or DStv Switch is required. Please contact your DStv Accredited Installer for more info. Please note, if the DStv Explora is installed with any other type of LNB other than the DStv Smart LNB, the installation will require changes to receive future services. If you have an HD TV, use the supplied HDMI cable and connect it to the HDMI port (marked 2) on the back of the decoder, then connect the other end to the HDMI port on the TV. If you have a non-HD TV, use the supplied RCA cables and connect the red, white and yellow inputs to the RCA ports (marked 1) on the back of the decoder, then connect the red, white and yellow inputs to the RCA ports on the TV. Connect the power supply to the input marked 4 and then plug the other side into the mains. Get the best out of your DStv Explora by connecting it to the internet. Click here for all you need to know. If your installation is done by a DStv Accredited Installer, they will activate your decoder for you with your selected package. If your installation is not done by a DStv Accredited Installer, please contact your nearest call centre to add this decoder onto your account and to activate it with your selected package.